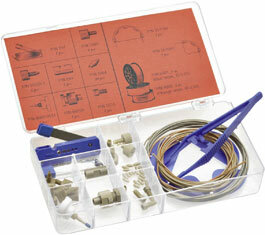 Color-It fingertight adapters work great with all our PEEK and stainless hex head nuts for 1/16" tubing. 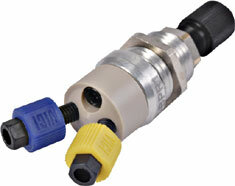 Color-Sleeve adapters are designed to be used with our black PPS nuts and one-piece fittings. Our back pressure regulator improves baseline stability by preventing bubble formation in the flow cell.